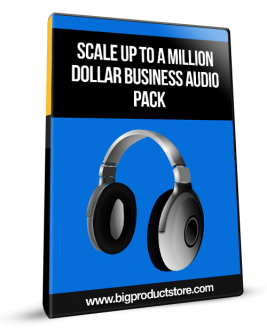 The Million-Dollar Business Model and How YOU Can Create YOUR OWN Million-Dollar Business Model! Are you frustrated because you are trying to build a profitable business but it isn't working for you? Are you tired of spinning your wheels trying to make your first $1000 but you don't have a repeatable data model to scale up to much higher numbers? Or perhaps you have been struggling to create [any] profitable business model but you just can't do it? - I'll even give you three (3) of my ideas for what YOU can do that are million-dollar businesses! - You see, there are 7 billion people on this planet and YOU can go after a million of them at the same time I do - I'm not worried about competition - in fact, if you build something big, I might want to advertise on your site!